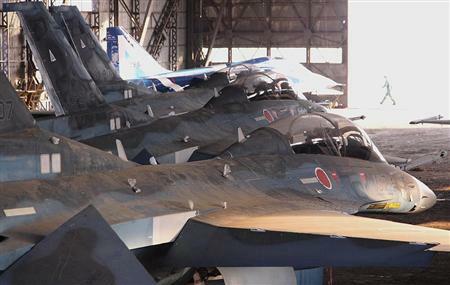 Japanese newspaper Sankei Shimbun has published two photographs of JASDF F-2 fighters in a hangar at Matsuhima Airbase in Miyagi Prefecture. 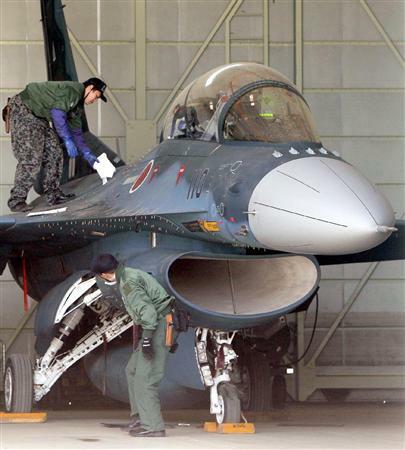 The base and its aircraft had been hard hit by the March tsunami that was triggered by the Tohuku earthquake. The newspaper says that of the 18 damaged aircraft, six will be salvageable, but cost pressures mean that replacement aircraft for the remaining dozen will not be purchased.